Want to get started with concealed carry? That's a great idea. With more states being permissive of legal carry of a concealed pistol than ever, it's certainly available to many people so long as they are legally permitted to possess a firearm. There are many reasons why you might want to start carry a concealed weapon, most obvious of which is for your own protection. But how to go about doing it? Well, believe it or not it's all fairly straightforward for most people. First you need a permit, then you need the gear to start doing it. Once you have that, you start concealing and carrying. That said, exactly how you'll do that depends on a few factors. We'll go over how you get started with concealed carry, as well as what you're looking for with concealed carry equipment. Most states require you to get a concealed carry license, though a small number of them don't require you to get a permit. 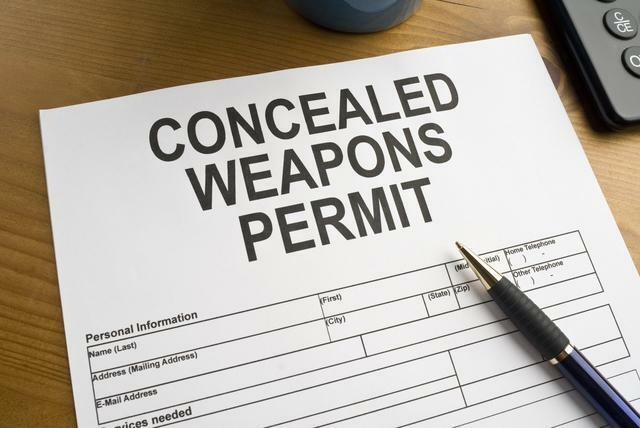 Almost all states that do require a permit still offer you the ability to get one if you wish, as having the permit gains reciprocity with other states. In other words, most American states either have a law saying they will recognize or an agreement with other states to recognize the handgun permits of other states. Sometimes they have a list of states they recognize the licenses from, some of them recognize any valid permit issued in another state; it depends on which state you're in. That said, each state has their own requirements for getting a CCW permit. Generally, you need to be 21 years of age, though some states lower it to 18. A person must undergo a background check and fingerprinting. Said background check looks for the obvious, such as looking for convictions of violent misdemeanors, felonies, protection orders, legal commitments for mental illness and so on. However, another common requirement is a certain amount of concealed carry training, which you'll need to submit proof of completing when applying for the license. 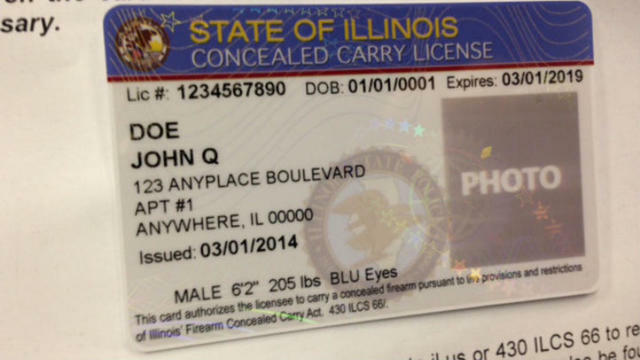 Depending on the state you live in, you may be required to take concealed carry classes. The exact nature of said course varies by state; in most cases it's a course going over basic gun safety and a few points concerning concealed carry. The most common required CCW classes give you the option of taking approved basic pistol courses, with NRA Basic Pistol being perhaps the most ubiquitous. 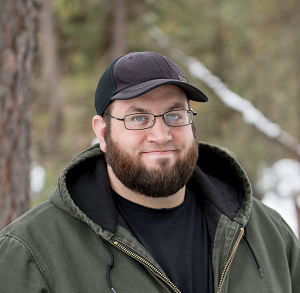 Hunter's safety courses typically will also satisfy this requirement. Most of the time, there will be a list of approved courses that you can choose from. Other states may require a bit more extensive instruction, either for the license itself or - in some cases - for an enhanced license, as some states offer them. Enhanced concealed carry licenses usually allow a person to carry in more places or are recognized by a greater number of states than the standard license, which is important if a person travels a great deal. Depending on the state you live in, there may be a test that must be passed such as a written exam and possibly a qualifying shoot, where you must shoot for score and achieve a minimum to pass the course. 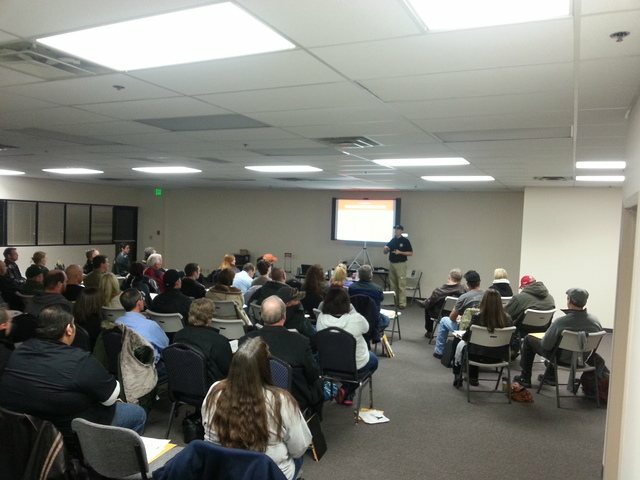 You may also want to consider concealed carry classes after receiving the license. These enhance your shooting skills and defensive mindset, giving you training that could help you get your gun into the fight should you have to use it. When selecting a concealed carry gun, you want to pick the smallest gun firing the biggest bullet that you can shoot really, really well. Though some people can and do conceal and carry a full-size pistol, the thing is that they aren't as easy to conceal on your person as a smaller gun. Service pistols are also usually quite heavy. While a strong gun belt can certainly help, the truth is that you'll become VERY aware of the extra weight. A compact pistol with moderate weight, even loaded, will be easier to conceal and more comfortable to carry in this regard, as will a subcompact. However, subcompact and micro pistols are not as easy to shoot well. For instance, a J-frame or other snubbie revolver is much easier to carry on a daily basis compared to, say, a Ruger GP100 or Smith and Wesson Model 10. However, many people would consider it a master's weapon, as accurate fire outside of short range is difficult without extensive practice. What are some attributes to look for in a concealed carry gun? You want the barrel to be shorter than a service pistol, but long enough to shoot well - look for a barrel length between 3.25 inches and 4 inches. A bit of width is not that much of a problem, so don't go thinking that a double-stack pistol isn't concealable. However, you might want to try choosing a pistol that's a bit on the slim side. Total width of 1.4 inches is about as thick as you want it. As to height, under 5 inches is preferable but the key attributes are that you should be able to get a good grip on the gun and it should fit your hand well. 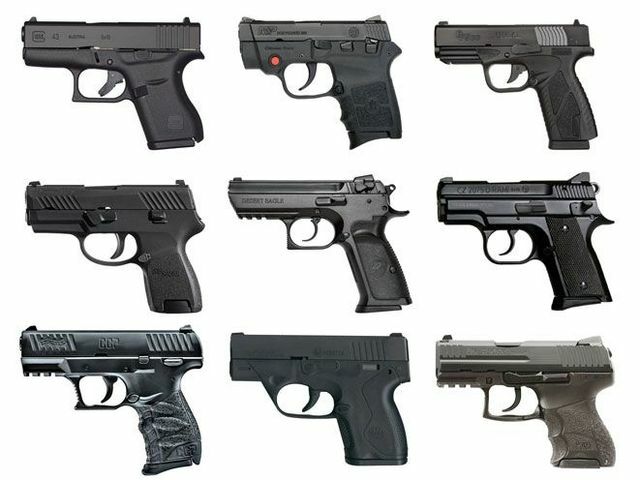 As to caliber, a 9mm concealed carry gun is likely best for beginners though you may find you like other rounds. Other popular defensive calibers include .40 S&W and .45 ACP. Though you may be tempted by smaller pistols in .380, they will take significant range time to gain serious proficiency. A lot of experts consider their best use as backup guns, as even a decent compact - such as a Glock 19, S&W Shield, Ruger SR9C or many others - is not difficult to conceal and carry. Again, you want to find the smallest gun that you can shoot really, really well. If you can't shoot it well, you have no business carrying it. Now that you've gotten your license, and have acquired a good gun for concealed carry, you need a holster and a gun belt to carry it with. What makes for a good holster, though? It should fit the gun you're carrying very well. However, it should also hold tightly enough that it will retain the pistol while you're carrying it. A good holster should also be comfortable to wear, as you are going to find excuses NOT to carry if your holster isn't comfortable. 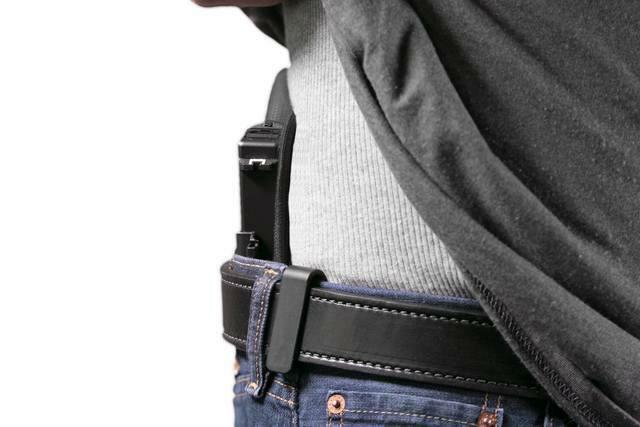 Now, when it comes to concealed carry, outside the waistband holsters and inside the waistband holsters are the most commonly worn for the application. Inside the waistband, or IWB holsters are much easier to conceal, as they tuck inside the waistband. That lets you cover the gun with as little as a t-shirt. An OWB holster will take a lot more, and you won't want to wear a jacket all year. When picking an IWB holster or OWB holster you want to find one that's molded precisely for the gun you'll be carrying. This ensures a good fit and therefore good retention. Leather and kydex holsters are both very popular for either application. However, leather gets hot in the warmer months and kydex isn't the most comfortable against the skin. A decent hybrid holster with a soft backer, such as those made with a neoprene backlayer, is very good for daily carry as it will cushion while being worn. Once you've made a holster selection, make sure you pair it with a good gun belt. Normal department store belts don't cut the mustard, so you'll need to select either a good tactical belt or leather gun belt. A reinforced leather gun belt, however, will be better in the long run than a plain leather belt, as the reinforcing layer - it can be kydex, nylon or in some cases spring steel, by far the best option - will ensure the belt remains strong enough to carry for years to come. However, once you've received your permit, selected a carry gun and have obtained a good gun belt and holster, you'll be ready for concealed carry. Can You Get Your Concealed Carry Permit Online?